TJ Cox may get to vote for the next Speaker of the House. Cox is in Washington this week, taking part in freshman orientation. However, his congressional race to supplant incumbent David Valadao (R-Hanford) in the 21st district is yet to be decided. With Monday’s updates from Kern and Tulare counties, Cox is in the lead for the first time, holding a 436-vote advantage. Votes remain to be counted in the four-county region comprising the district. What is not yet known is if Cox will have a vote in the Democratic caucus on House speaker. A Democratic leadership aide tells GV Wire that the caucus will vote Wednesday (Nov. 28) on whether Cox will be allowed to vote for speaker. Then, the caucus will vote on the speakership position itself. A campaign spokesman said Cox hasn’t made any decision on how he would vote — if given the option. He wants to meet with the candidates. Thus far, Minority Leader Nancy Pelosi is the only candidate. Cox and Pelosi have no scheduled meetings. During the campaign, Cox downplayed the Pelosi factor. “This is what I hear about Nancy Pelosi: absolutely nothing,” Cox told GV Wire in May. Pelosi, the current minority leader, is not a shoe-in to ascend to House speaker. There has been an insurrection among Democrats longing for new leadership. Still, they’ve yet to present an alternative plan. If Cox wins, the Democrats could have a 235-member delegation in the House, a net gain of 40 seats. In the party caucus, Pelosi needs a simple majority, or 118 votes to be the party’s nominee as speaker. The full House will then vote as one of its first orders of business in the new session, starting Jan. 3, 2019. On the floor, the entire Congress votes for the speaker. The winner would need a majority, or 218 votes. That means, in theory, up to 17 Democrats could vote for an alternative candidate on the floor, and Pelosi still secures the speakership. 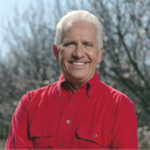 Another member of the Valley’s Democratic caucus, Jim Costa (D-Fresno), has said in the past that he would not vote for Pelosi. In his latest statement to GV Wire, he said he wants a leader who values bipartisanship. “These are the key factors I am considering while finalizing my leadership decisions: I will support leaders who will make the House more inclusive of individual members’ work, remove the partisan roadblocks that stop most members’ legislation from moving forward, and work to make the House more representative of the American people, not political party extremes,” Costa wrote in an email. The eight-term congressman would not definitively say whether or not he would support Pelosi in the caucus. Costa is a member of the bipartisan Problem Solvers caucus, whose Democratic members have balked at returning Pelosi to the House’s top position. The Problem Solvers sent Pelosi a letter Nov. 13 laying out reform demands in exchange for their support.